Summer wedding season is upon us. With couples extending their weddings into spring and summer, we’ve got some classic to vibrant and amazingly cool inspirations for brides-to-be to look their suave best on the D-Day despite the hot weather. Hey brides, we understand your plight when it comes to handling your do when you’re on your way to say “I Do”. Summer weddings can be daunting, with the scorching and unpredictable weather conditions in India, we’re here to help you ‘Keep Calm and Not Turn into Bridezilla’ wearing uncomfortable attire and heavy traditional jewellery. So ditch the traditional dark reds, mahogany and all the other gloomy colours that may make you look drop dead gorgeous, but what’s the point if the heat around just kills your look? Fashion is all about comfortable style. 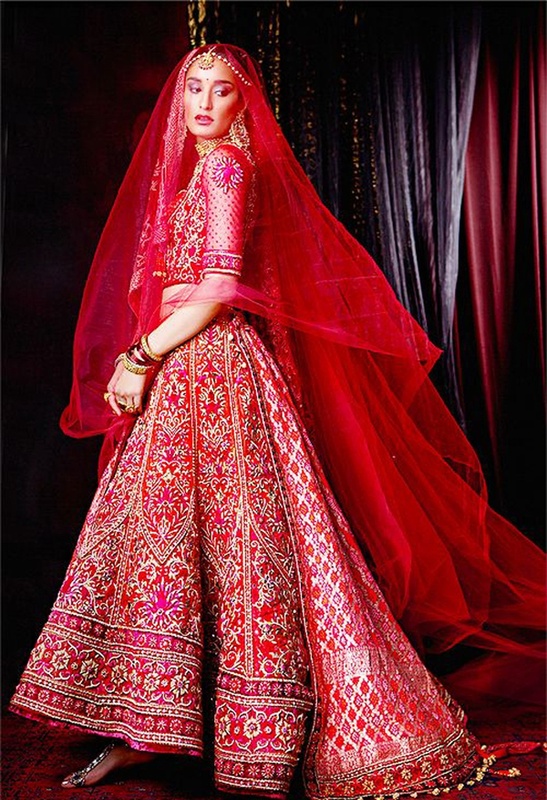 Keeping this in mind, we’ve got summer special bridal wear ideas that are fabulously breath-taking! If you’re the offbeat kind, you’re sure to love the light hued combinations of mint green and fuschia. For daddy’s darling daughters, some pretty pink combinations and for the traditional bride we’ve assembled a red ensemble with a twist, because we know you can’t escape this colour on your wedding day. Steal the look and your spouse-to-be’s heart once again, start exploring!